Perhaps it is because I’m never afraid to get into the thick of a home staging argument and share my thoughts that I received a private message today, in response to another blog that I wrote on Active Rain titled, Virtual Home Staging VS Traditional Home Staging. The debate Continues… asking me to give my thoughts on another blog that hit social media by a high profile Realtor which seemed to be anti-staging. I’ll admit that I had seen Bill’s blog earlier in the week but hadn’t had time to read it. Really I had seen that he had posted in a Real Estate Community on G+ that I moderate. I didn’t even have time to read the rather lengthy post entry, but I’ll say that what I did read made me so angry that I had to move on before my blood pressure exploded. So, today, after getting that private comment about Bill’s post, I decided that I better sit and read it. If it was worth my time and energy, I would in fact write a blog about it. Does home staging get a seller more money for their home? I think this is a good time for me to say that I both agree and disagree with what Bill is saying here. Let me dissect it from my point of view. I’ll actually start with his last statement. In the last 10 years of being a professional home stager, I have in fact seen homes that needed absolutely zero help. I would say it was a maximum of 2 per year in the hundred plus homes we evaluated. MOST OF THE TIME, if the home was occupied, a consultation and minimal work that could be done by the seller, was enough to maximize the appearance of the home. Pillows, furniture, and art were not needed, just a little sprucing up with what the seller already had. And now comes the flaw in Bill’s theory, in his very own words…. Um… yeah. Exactly. If a home sells FASTER because it looks better, it will sell for more money. PERIOD. How do I know this? Because once a seller starts thinking about making an offer on a home, their first question is, “How long has it been on the market?” Do you know why they want to know this? They are deciding in that moment if they can make a low offer. I’ve written about the study that Bill used as evidence in my post, New Study Shows Staging Doesn’t Actually Work. I discussed the fact that the study was not even a little scientific as the “buyers” weren’t actually in the market for a home in the areas that they were “evaluating” and the study only used virtual home staging as opposed to actually taking real prospective buyers to staged and unstaged properties. Home buying, and home staging, are both based on emotion. The participants lacked the necessary ingredient, emotion of potential loss or gain of the home. Without emotion and a vested interest, the study has no merits. Is home staging the most important thing when selling a home? Now, you see, I know what Bill was trying to say in his blog and his social media post. I’ll even agree with his basic premise. Picking the right price and the right agent are the most important components when listing your home. 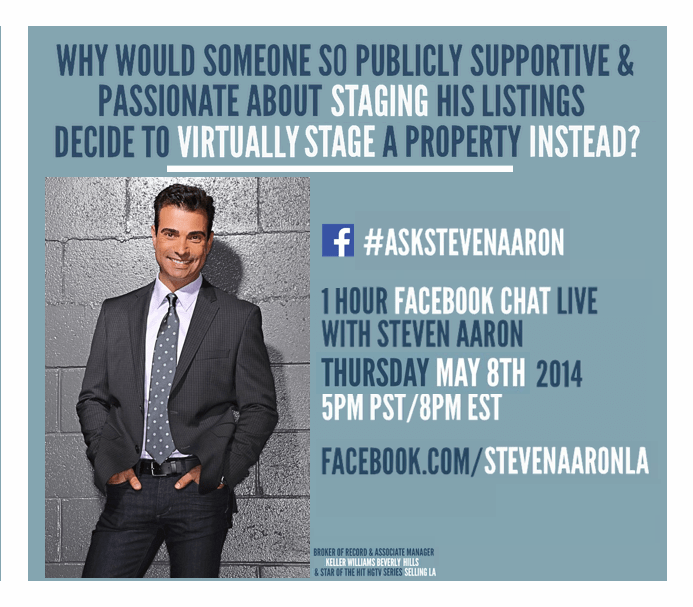 You should never pick an agent based solely on the fact that they offer home staging. It’s kind of like picking an agent just because they told you they would list your home for the largest amount. Most likely they are saying what they need to in order to get the listing. The market will, in the end, dictate what the home will sell for. 1) How and where do you market my home? 2) How did you come up with your pricing strategy? 6) How often will you provide information about feedback from showings? As Bill pointed out at the end of his post, there are multiple factors that determine if a home will sell, and for how much. They include, pricing, condition, location, and marketing. Staging is only one piece of the puzzle and not the entire puzzle. Let me put it like this. (This is actually how I teach it in my home staging class for owners.) When you are baking a cake, is the egg the most important ingredient? No, of course not. Sure, you need an egg to make a great cake, but it’s only one of the important ingredients. New Study Shows Home Staging Doesn’t Work.